Below is a high-level summary of the data classes and data elements contained in version 1 of the USCDI. For more details, including data class descriptions and applicable standards supporting data elements, view the USCDI v1 in PDF format. The U.S. 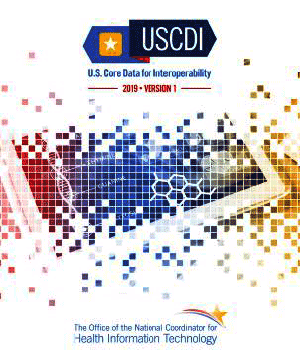 Core Data for Interoperability (USCDI) is a standardized set of health data classes and constituent data elements for nationwide, interoperable health information exchange. A USCDI “Data Class” is an aggregation of various Data Elements by a common theme or use case. A USCDI “Data Element” is the most granular level at which a piece of data is exchanged. For example, Date of Birth is a Data Element rather than its component Day, Month, or Year, because Date of Birth is the unit of exchange.